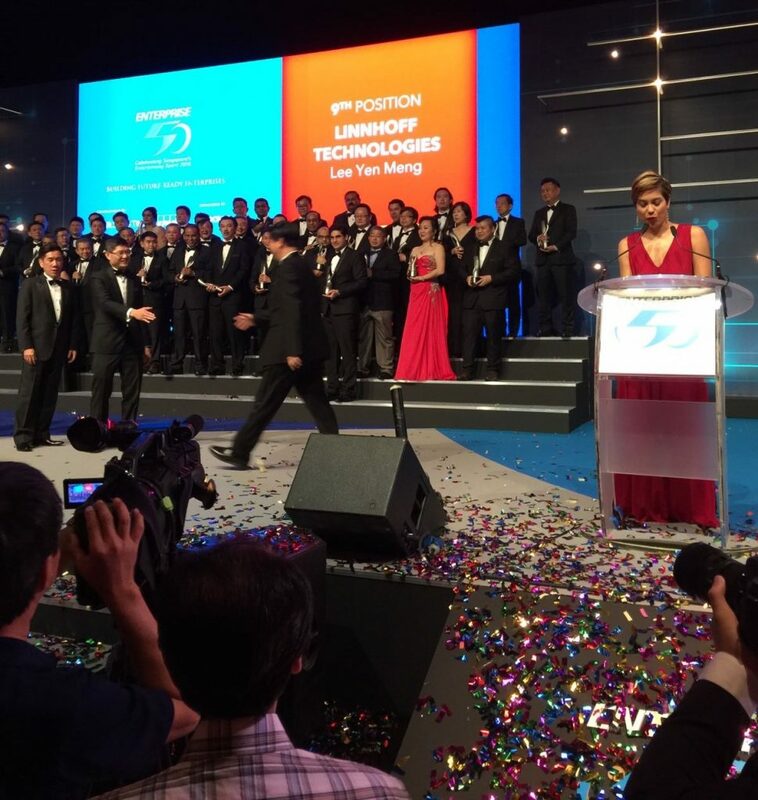 Congratulations to Linnhoff Technologies for clinching 3 awards at the prestigious Singapore Enterprise 50 (E50) Awards this year! The E50 event was organised by KPMG and The Business Times, sponsored by OCBC Bank and supported by SGX, IE Singapore, Singapore Business Federation and Spring Singapore. Linnhoff came in 9th position, which is by far the best-ranked position achieved over the years. Linnhoff was also presented with the ‘5 Years Award’, as this is the 5th time that the Company is ranked amongst the Top 50 SMEs in Singapore. Last but not least, the Company also clinched a Special Recognition Award in Internationalisation, for generating the majority of its revenue from overseas – in Africa and Southeast Asia. The Shareholders and Board are proud of Linnhoff Technologies, the CEO – Mr Lee Yen Meng, and every staff of the Company. We would like to say a big thank you for your relentless spirit and work attitude that has led to this great achievement. We are confident that you will continue striving and setting your footprints in several other emerging economies in Africa, Central Asia and South America.